Episodes will be uploaded once a week, and will be about an hour long. Until we get to the Super Bowl, where episodes will be delivered once a day, five hours an episode. Welcome to another episode of Keep it Teal. Just kidding, it's the first one. So, welcome to First Coast News' new and alternative Jaguars podcast. This show aspires to be different than the normal Jaguars talk you listen to on the radio or podcast app. Mobile app users click here to listen to the episode. Eric Dunn and I are hosts of a pretty successful independent sports podcast, Dunn and Drew, but find ourselves constantly having to remind listeners that it's not a Jaguars podcast - as we tend to bring them up a lot. 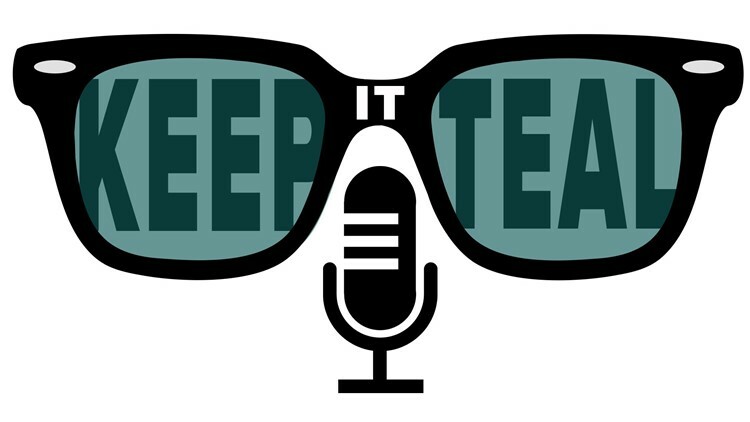 So we figured, why not create a second podcast dedicated entirely to the team?? Episodes will be uploaded once a week, and will be about an hour long. Until we get to the Super Bowl, when episodes will be delivered once a day, five hours an episode. The episode is only available on Soundcloud as of Friday, but should be available on Apple Podcasts and Spotify very soon, so stay tuned!